Special justice department. October. 26, 2018 07:16. . The Democratic Party of Korea, the Bareunmirae Party, the Peace Party and the Justice party revealed Thursday that they will legislate a special act to establish a special justice department that will be in charge of cases regarding allegations over abusing judicial administration. 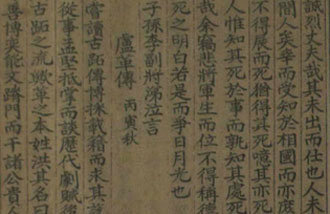 The gist of the legislation motioned by a member of the Democratic Party is as follows: The Candidate Recommendation Committee, comprised of three people from the Korea Bar Association, representative meeting of judges, and experts will each recommend six candidates, three of whom will be appointed by the Chief Justice of the Supreme Court to be in charge of examining warrants as well as the first and second instance. The four ruling and opposition parties will be discussing measures to orchestrate a special justice department based on this legislation. It was the justice department’s soft punishment against their colleagues, which can be witness from the fact that the dismissal rate of seizure and search warrant related to allegations reached up to 90 percent, that provided the source of orchestrating a special justice department. It was also taken into consideration that a fair allocation of cases is difficult as the presiding judges of five criminal divisions among the seven under the Seoul Central District Court, which will be in charge of trials, are subject to investigation or are victims. The argument to introduce a special justice department is persuasive in that it will be impossible to put an end to “mistrust over the justice system” if the fairness of the trial that is to be proceeded after the prosecutor’s indictment is not trusted. Violation of the constitution, however, is the issue. After the special investigation committee for investigating anti-national acts or the May 16 military coup in the past, the innovation court of justice created and operated an organization with the characteristics of a special court. Unlike this, the four ruling and opposition parties appear to push forward the legislation in a way that excludes any violation of the constitution by entrusting the right to appoint judges to the Chief Justice of the Supreme Court and by placing the justice department within the court. Nevertheless, as much as the constitution defines that the “judicial power is a part of a court comprised of judges,” the very act of the National Assembly to engage in organizing a justice department by establishing a special act may damage the separation of powers between three branches of the government as it breaches the judicial power. This is the reason why it is difficult to find an example of establishing a special justice department in developed countries. Moreover, entrusting a certain case to a certain justice department per se may violate the justness of a trial. It is the principle of the court to allocate the justice department randomly for a fair trial. Excluding a judge if he or she is directly or indirectly related to a certain case or is in a special relationship with the defendant such as the being the defendant’s relative is possible even under the current system. Some people criticize that the special justice department will lack substantive effectiveness as it leaves out the supreme court, which is the last instance, and only proceed the first and second instance, being conscious of the violation of the constitution. It is necessary to listen to those who argue that it is difficult to understand the reason for adopting the special justice department despite such controversies. We will need to wait and see whether it will lead to actual legislation as the Liberty Korea Party strongly opposes this and the four ruling and opposition parties have conspicuously different opinions on the organization of the justice department. If a special justice department is installed after ordeal, it will become the first case in the history of justice. There are concerns that once a precedent is made, it made lead to frequent request for a special justice department, which will be misused politically as in the case of special prosecution. There is a need for the National Assembly to push forward the adoption of the special justice department after closely reviewing the negative effects it may have on the independency of the justice division.